Several weeks ago I had the chance to appear on Donald Kelly’s Sales Evangelist Podcast. The topic of the podcast was How To Deal With The Pressure Of Hitting Your Quarterly Number. We discussed how to project sales results, how to be analytical about what’s working and what’s not, empathy, transparency and a bunch of other things related to working in a high pressure environment. Check it out below on Stitcher or on iTunes. I’ve done a bunch of these now so I’ve added a Podcasts category to the archive. 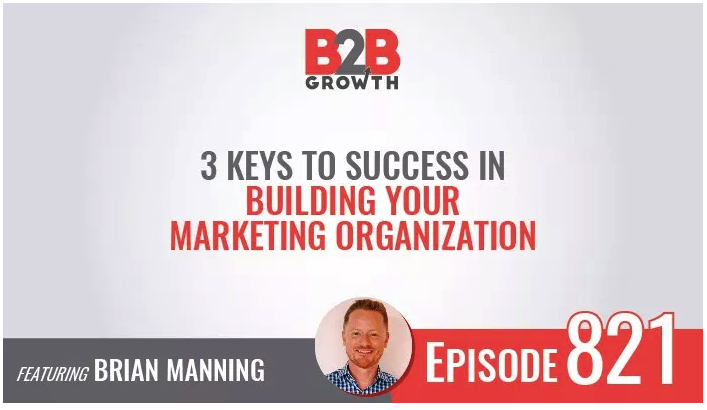 A few weeks ago I had the opportunity to be interviewed on the B2B Growth Podcast with Logan Lyles. I really enjoyed the discussion. We touched on a few things I’ve been thinking a lot about lately; including how to structure a marketing team with sales objectives in mind, the different profiles of marketing leaders and some thoughts on hiring great leaders. I recently had the chance to sit down with Scott Sambucci from SalesQualia on his Startup Selling Podcast to discuss: The Selling Process vs. The Buying Process in the Enterprise Sale. We covered a wide range of topics, including the most common mistakes entrepreneurs make when selling into large companies, selling innovation and building and managing teams. Check it out below on Soundcloud or on iTunes. I did a podcast with Keith Cline from VentureFizz a few weeks ago. We talked about my career, how I think about growing startups and lots of other stuff. You can listen to it on iTunes here or on Soundcloud below.